Today our review went live for The Witcher 3: Wild Hunt, and one of its main attractions is its vast world, which contains new discoveries around every corner. 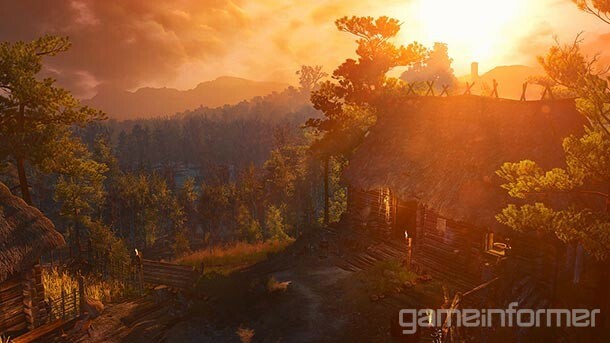 CD Projekt RED wanted the world to feel as real as possible, bringing back its day/night system and creating a dynamic weather system. Both of these elements impact your journey in different ways. For instance, a storm might make for choppy waters when sailing and taverns get much more lively at night. We nabbed some exclusive screens to show just how much detail goes into creating the ever-changing atmosphere. For more context, we also chatted with art producer, Michał Stec. 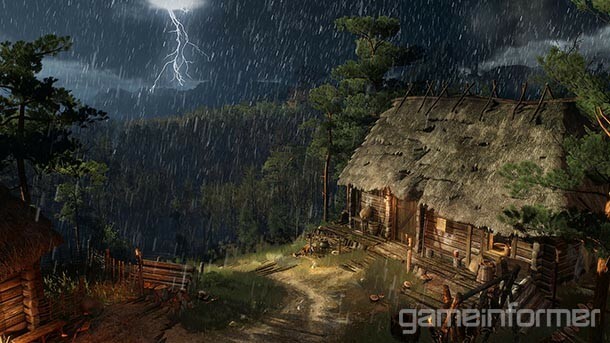 What went into creating the weather and environments for The Witcher 3? Hundreds if not thousands of hours of browsing through references: paintings, pictures, films, photos – everything, really. I remember this one time, Lucjan (one of the leads) and I were on our way to some party and he suddenly stopped the car, pulled a camera out of the glove box and started taking pictures of the setting sun to use as a reference. We drew a lot on photographs and movies. Sometimes we'd pull up a visual reference on our second monitor and not quit until the game looked exactly like the image. It was the same with rain and other weather conditions. We often scrutinized even the little details, like how fast a storm should roll in, how clouds should move. I personally am a big fan of snowboarding, so I had plenty of inspiration and references to draw on for the peaks in Skellige [laughs]. On top of all that, we of course drew on the extraordinary talent and hard work of one of the best art teams ever. For the icing on the cake, we added special effects: lovely little cloud details, wood dust particles, fog, smoke plumes, etc. Add it all together, and you get amazingly believable locations. How often will the weather change as you play? All the time – the weather is constantly changing. This is a randomized mechanism; working it out took us quite a while, since it required a lot of testing, checking if how it felt in the game was okay, or if it was too much. The weights given to particular weather conditions change depending on the region – in the swamps of No Man's Land it's practically always foggy and rains a lot, whereas in Skellige you can expect more thunderstorms near the coasts and sunshine up in the mountains. What do you think the changing weather and day/night shifts add to the experience? I think it's really important – it adds a lot to the believability of the world. We were able to create moments in the game like you get in life: You look at the sky and think, "Damn, it's gonna rain, I need to find shelter and meditate till morning." There are places in the game where you don't want to go after dark – dark alleys in the city, for example. Personally, I love playing at night, particularly when the moon's shining brightly. 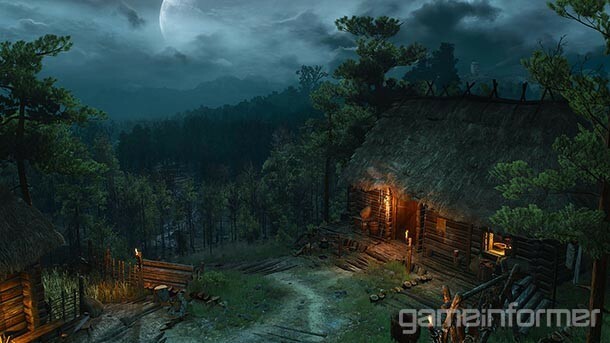 Monsters act differently at different times of day, and so do Geralt's skills – noonwraiths famously are tougher around noon, and Geralt can acquire Abilities that, for example, speed up his Vitality regeneration during the day. 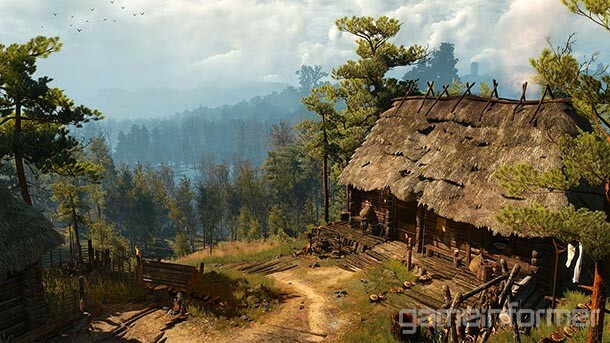 What has the advanced tech allowed you to do that you weren't able to in The Witcher 2? I think the guys from our amazing Technical Arts team are better positioned to answer this question. In general I can say we were definitely able to pimp out the clouds and fog. Given how passionate fans are about these technical issues, I think it's best to leave the details to our experts. How will the weather affect your adventures? Are there any events that are related to the weather? Do NPCs characters react to the changing time/weather? NPCs definitely react to the weather, just like animals and monsters do. Inns will become crowded in the evening and at night, for example. Thieves, thugs, and other dangerous elements come out at night as well. Some quests can only be triggered at certain times of day. What are you most excited for with this feature? Anything you think fans will be surprised to know about it? The most interesting part was the creation process. It was an enormous challenge to make locations that are always accessible (open world), that can be examined from all angles with a torch in hand (we don't block the player from exploring) and that in addition also have to look good during the day, at night, in the morning, in the evening, in the morning when it's raining, in the evening when it's foggy, during a storm, etc., etc. There's an amazing number of combinations. Plus we had to give the player total freedom to screw with the lighting. You can light and extinguish candles, torches, etc. This took a massive amount of testing, tweaking...and time [laughs]. Be sure to compare all the different screens of the same place with different weather and time of day effects in the gallery below!